Next to the fine houses bordering London's Hyde Park stand the now fashionable 'Mews' cottages; centuries ago the mews's housed hawks, ready for hunting in the Park. The Fabergé family's London branch neighboured the Park. 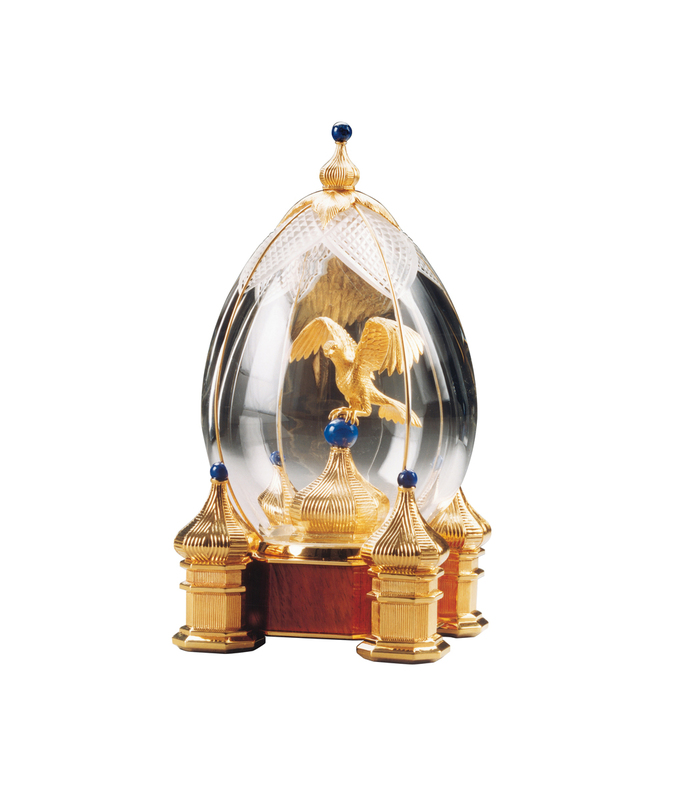 The atmosphere of Theo Fabergé's creation is of the hunter, taking the Falcon from his hunting tent and releasing her to soar and stoop to her quarry. Theo Fabergé's Royal Falcon Hunt Egg created in crystal, sculpted in gold and silver and offset with lapis, highlights the majesty and splendour of this aristocrat of birds. 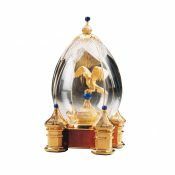 Materials: Crystal, gold , silver and lapis.